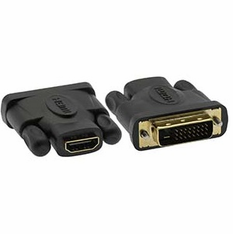 This will convert one end of your Male HDMI Cable into a Male DVI-D cable. 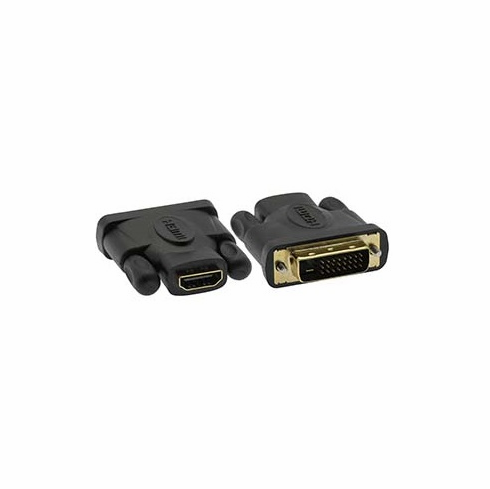 Although HDMI carries Digital Sound as well as Digital Video signals - DVI-D is only for Digital Video. You will not get sound through this cable adapter. My monitor only had VGA and DVI. I figured this adapter would be a nicer solution than buying a new DVI cable that would only be useful with this monitor. Now I can use the cables I already have lying around, and the monitor has an HDMI port. ConsThe knobs are kinda slick and hard to screw in. Aren't they always, tho? Fast service, excellent quality and low prices makes this a winning place to buy all your cable needs. No complaints about this product at all. It works exactly as advertised. I'm using it in conjunction an Apple mini DisplayPort to DVI adapter to display my MacBook Pro on a 40" LCD TV.